Keep your lights, darks, delicate and linens separate with this Seville 3 Bag laundry Sorter with Folding Table. The lightweight table lifts up for convenient bag removal. 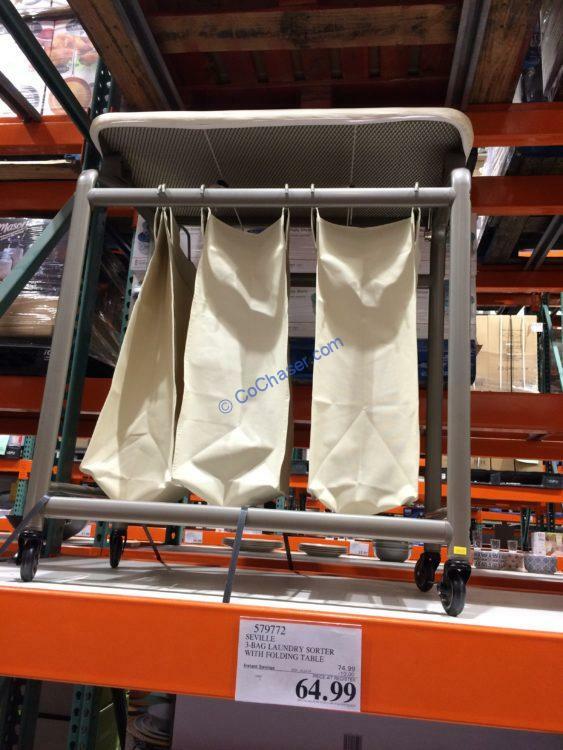 Costco cuts $10 off on Seville 3 Bag laundry Sorter with Folding Table now, dropping the price to $64.99, valid through 2/24/2019. It features poly-foam padding and a machine-washable cotton fabric cover for convenient cleaning.